Steven Singer LPC is a Licensed Professional Counselor and Certified Advanced Alcohol and Drug Counselor with 27 years of clinical experience. Steven’s practice focuses on treatment of adults, adolescents (13 and older) and families with mood disorders, adjustment disorders, anxiety disorders and substance use disorders, utilizing primarily cognitive-behavioral therapy. Most of Steven’s clients improve within 12 to 20 sessions, allowing them to refocus on their activities of daily living with specific tools and strategies to maintain emotional and behavioral wellness. 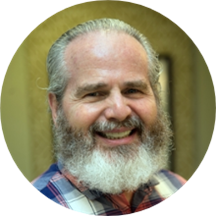 Steven was a first responder, school counselor, in-home therapist, inpatient therapist, intensive outpatient therapist and jail therapist and has helped many in his last 27 years of practice. Stephen Singer, LPC has no appointments on Zocdoc right now.